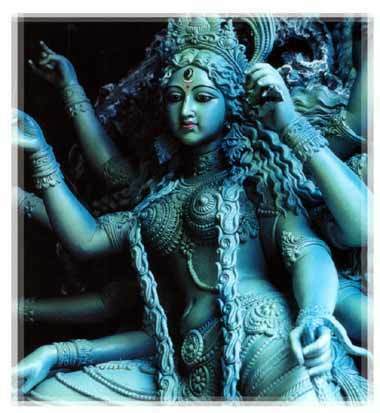 Kali is the divine qutub; erect upon the inert corpse of Shiva, She generates the impulse of life, of the manifest moment; Mother of the gods. 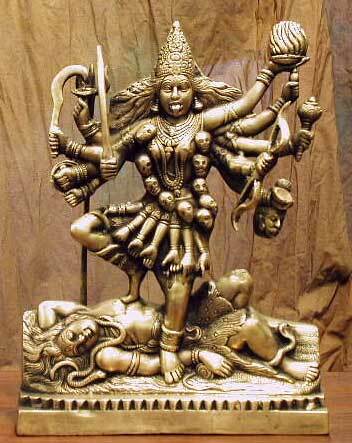 Consort of Lord Shiva, who dances the Universe into being. Order from Chaos. consecrate your being to pure love. Turn every thought to Goddess Tara. Be utterly dedicated to her reality. 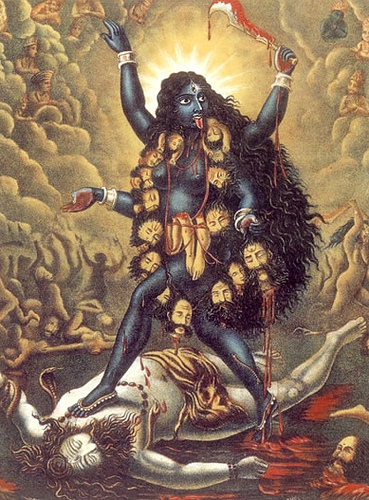 Cry aloud Ma Kali, Ma Kali. the inconceivable maze of relativity. Have you forgotten that everyone is lost? Where are you now? Why are you travelling? wearing various costumes and disguises. who is the dream power of Absolute Reality. as the narrow prison of suffering. to hollow passion and abject clinging? You are creating a disease without a remedy. The brief day of your earthly life is almost over. Meditate now on beautiful Black Tara. in the transparent sea of ultimacy. ~ by meanderingsofthemuse on June 27, 2011.